I have been in the Australian radio industry for more than 40 years. Before joining RCS, I was the 3pm to 6pm drive show DJ on 2DayFM Sydney – which was the most listened-to radio station in Australia. I love radio. Recently, I was promoted to VP/RCS Asia Pacific and now have the opportunity to visit other countries and station operations. I want to share a story about my recent visit to China. It was my first visit to this powerhouse country, the third largest by area, the most populated and probably the most different country on earth. I don’t believe anything can prepare you for the assault on your senses of this unique country. One of the 1.2 billion people in China eleven years ago was Alex Meng, our very own RCS Regional Manager. Alex ventured from his home in Taiwan with the goal of helping to make a difference at the State owned radio enterprises with RCS software. As the market has matured and the country opened up, so too has demand for the best broadcast software. RCS and its products and services has reached an almost cult status; the ‘must have’ software if you run music station in China. It is clear that after a decade of hard work and extremely positive word of mouth have put RCS at a productive tipping point in China. 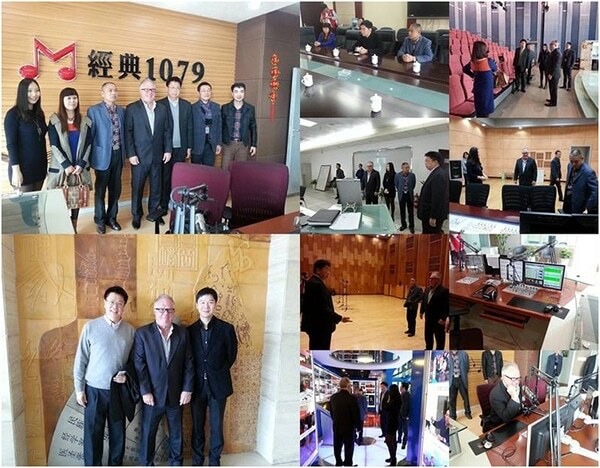 My client visits were to some of the most remarkable broadcast facilities, in Beijing, Zhengzhou and Wuhan, where our second office is located. 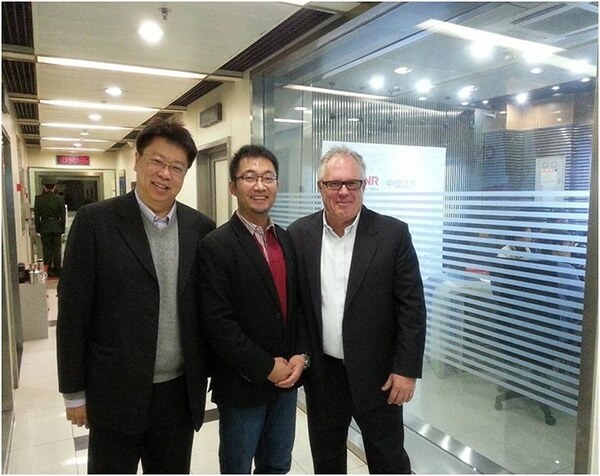 We visited Radio Zhengzhou where pictured lower left is Alex Meng, Keith Williams and Mr. Ge.